Check out the Escondido Union High School District’s Independent Study program. Students can access Independent Study at either Escondido, Orange Glen High or San Pasqual High Schools. The Independent Study program is offered out of the Learning Centers located at these high schools. Under the direction of specially trained staff, students enrolled in Independent Study receive the advantages of individualized study and may choose to engage in traditional classes or campus programs within their desired areas of interest. This flexible program opens the door for advanced learning in areas such as lab sciences and foreign languages or the chance to serve on the school newspaper, explore careers from culinary arts to graphic design, or participate in a wide variety of athletic programs. Our Learning Centers provide high quality, individually designed credit acceleration and credit recovery opportunities. Learning Centers maintain an environment that is personalized and supportive. 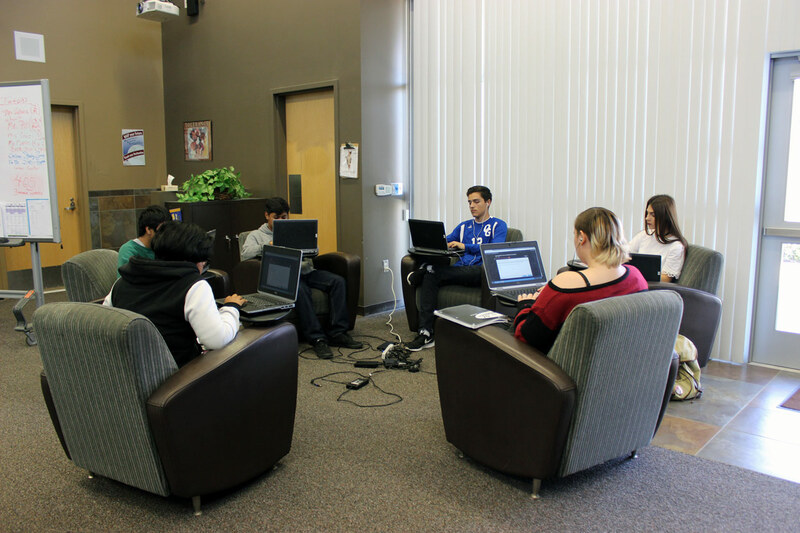 With computer-assisted instruction as its foundation, students can choose from over 70 core and elective courses. Students can adjust their pacing within their courses to meet their individual learning needs and goals with the oversight of their specifically trained, qualified teachers.